Earth is the only planet so far that supports and sustains living organisms. Earth is small planet compared to the vast cosmos where it resides. 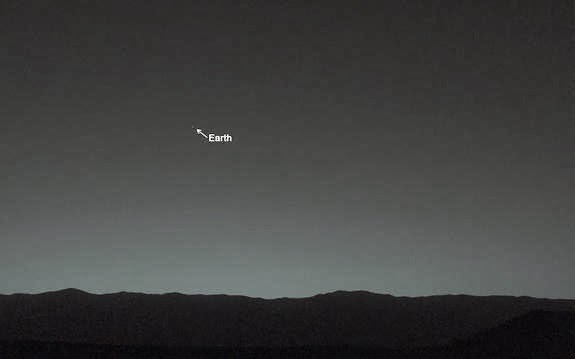 Approximately 80 minutes after sunset on Mars and about 99 million miles its home planet, NASA's Curiosity rover snapped an image of the Earth (below). Earth in Mars' night sky. 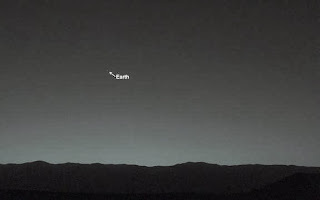 NASA Mars Rover Curiosity Sees 'Evening Star' Earth. Jet Propulsion Laboratory, California Institute of Technology.